Mild Chinese insults can be funny and creative for some light-hearted teasing. To help with your Mandarin learning, we’ve compiled some of the best Chinese name-calling into three categories: bad eggs, nasty numbers, and colorful curses. These monikers can be used in times of frustration but also for playful teasing and even affection. Roughly translated, this means: Hitting is affection and scolding is love. Some may say that this is just an excuse for parents to spank and discipline their children. 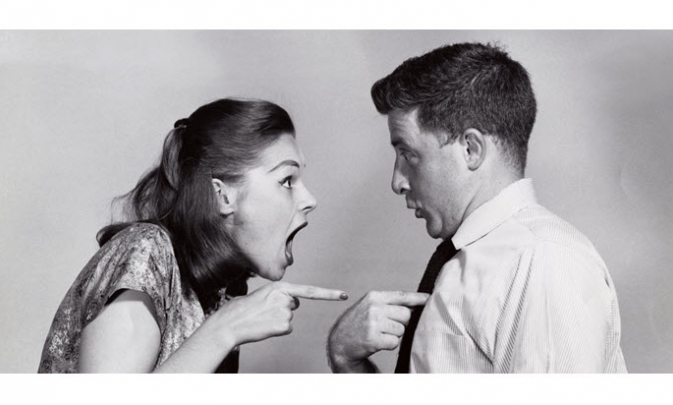 However, gentle teasing and amiable name-calling is also common among partners, friends, and siblings. In China, words of affection and terms of endearment can often sound a little less than loving. Pick your favorite insults below. Eggs abound in Chinese insults. This may have something to do with eggs representing the offspring of animals. Because family and lineage is so valued in Chinese culture, the suggestion of being hatched instead of born to loving, legitimate parents is a grave snub indeed. These days, however, the severity of being called an egg has lessened quite a bit. These terms are seen as pretty harmless and used quite affectionately. If a child is naughty or plays a trick, parents often uses this as a gentle chide. So it's not exactly an insult, per say. In fact, many children even revel in being called bad eggs. The closest English equivalent might be "scamp" or "rascal." Yet another that isn't that bad as an insult, and would be more appropriate for teasing. This is what parents would call a child who refuses to get out of bed. Though a melon is a much bigger ovoid than an egg, I included it here because these two terms are often used interchangeably. Either insult can be used when a friend or significant other makes a silly mistake. Especially with men, these are affectionate nicknames to occasionally use for their girlfriends. The harshest insult on this list, this is what a father might call his daughter’s scoundrel boyfriend. Unlike the above insults, hún dàn (混蛋) is not a phrase you'd use lightly. So exercise caution! Tip: Open our free video-based pinyin chart to check your pronunciation of these words. The chart has video explanations for difficult sounds and audio demonstrations for all 400+ Mandarin sounds! There are many superstitions around Chinese numerology. Many of these are based on homophones, such as the number four sounding like death and the number eight sounding like fortunes. Chinese number insults, however, play less on sound but have some other interesting origins related to history and culture. There are a few different theories about why this became an insult. One suggests that in ancient China, a string of 1000 copper coins made up a unit of currency called the diào (吊). Back then, someone with limited capabilities or mental faculties would be called a bàn diào zi (半吊子), or half a diào with 500 coins. Since 250 is half of a bàn diào zi (半吊子), the punchline here is that whoever is on the receiving end of this insult has a quarter of a brain. Here is a simplified version of 250, èr (二). Men and boys in particular are likely to use this to describe each other’s antics and failings. For instance, they might say to each other: nĭ zhēn èr a! (你真二啊! ), or “You are so "èr"! 3-8 matches the March 8th date of International Women’s Day. However, in many regions, it is a less than flattering way to describe women. Sān bā is used to describe a woman who is being unreasonable or nosy, but it can also refer to a strong, working-class lady. Additionally, 3 + 8 also equals 11, or shí yī (十一). When this is written vertically as it would be in traditional Chinese, it looks similar to the word tŭ (土), or dirt. Thus, 38 can also be used to call someone dirt, but the term is more often seen as related to women. Calling a man a green hat suggests that his lover is cheating on him, and he is being cuckolded. It can be a way to insult a man's masculinity. The story goes that a housewife in ancient China fell in love with another man in the neighborhood. To give her lover the signal that it was safe to come by, she decided to give her husband a green hat that would keep his head warm on his journeys. Thus, while everyone else in the village figured out what the wife was up to, her husband would proudly wear his green hat around town. This term is used to describe an unattractive woman or an older woman who has lost her beauty to age. Supposedly, the powder and makeup that women used in ancient China often contained lead. Over time, this would damage their skin and leave the complexion a yellowish hue. A little white face in this case refers to a young man who doesn’t know too much about the world. It can be used to describe a pretty boy, or a gold digger (typically of an older women). For instance, if an older woman takes a younger male lover, that man might get called a xiǎo bái liǎn (小白脸). White is the color of purity and innocence, and the character chī (痴) has a radical often used in relation to sickness. So it follows that too much purity or innocence leads to a diagnosis of idiocy. Arm yourself with more Chinese insults in Part 2! Know any other Chinese insults? What should we add to the list? Share with us in the comments below! 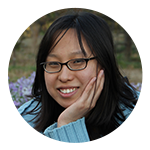 DIANA XIN writes fiction and teaches writing in Seattle, Washington. She used to teach English in Beijing, and hopes to visit again soon to see friends and family and to eat all the food twice. She enjoys cooking, hiking, and climbing big rocks.